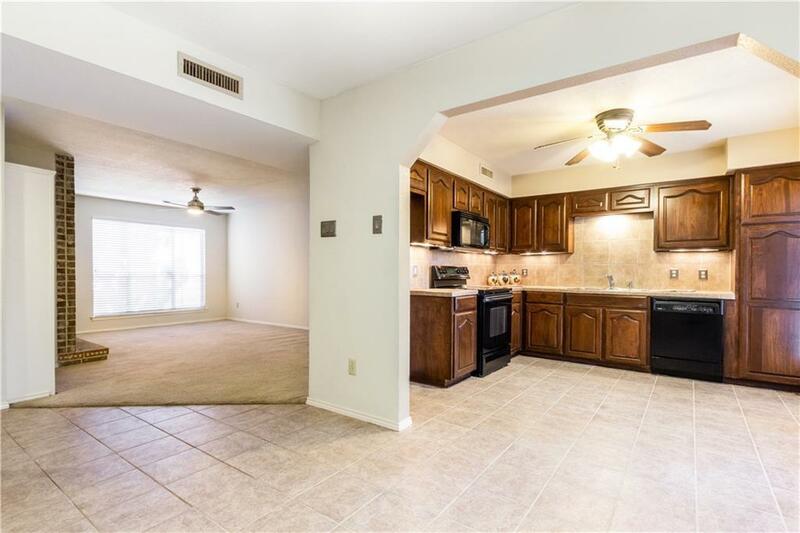 AWESOME UPDATED LOWER CONDO IN PRIME LOCATION WITHIN THIS PRESTON HOLLOW AREA GATED COMPLEX. KITCHEN IS A GOURMETS DELIGHT WITH CHERRY CABINETS, REPLACED APPLIANCES, SINK, COUNTERTOPS & TILE FLOORING. BOTH BATHS UPDATED. LARGE MBR HAS LARGE WALK IN CLOSET. 2ND BEDROOM HAS 7X7 SITTING-OFFICE AREA FACING POOL. LR HAS FP WITH FLAT SCREEN WIRING ABOVE MANTEL. FULL SIZE WASHER DRYER AREA. LARGE COVERED PATIO OPENS TO POOL. CLOSE TO SMU, NORTHPARK CENTER, PRESBY HOSPITAL AND THE NEW PRESTON HOLLOW VILLAGE.